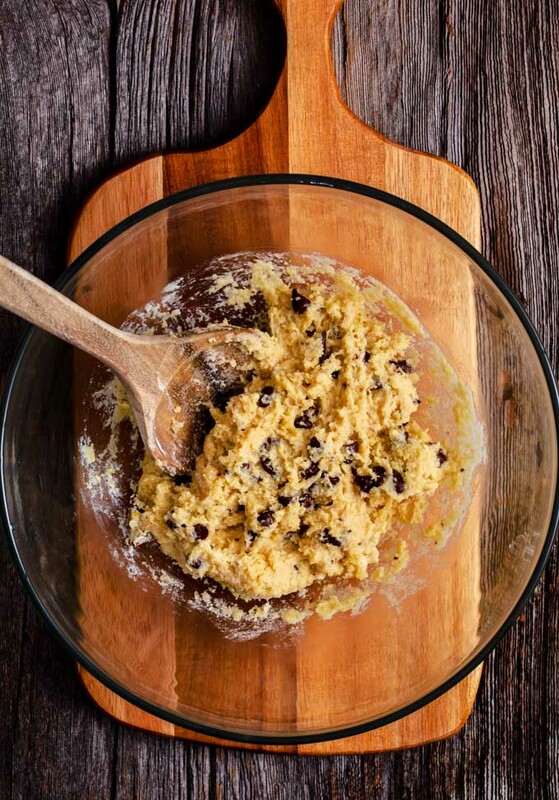 This healthy protein powder cookie dough recipe is a dream come true. Not only is it 100% edible raw, but it is also made with the healthiest ingredients, making it the perfect quick and easy breakfast or snack! Cookie dough by the spoon at 7 AM? You bet, baby! You could also roll the dough into balls and snack on them little bites later during the day. This recipe is gluten-free, egg-free and kid-friendly! 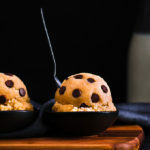 I remember as a child how I loved when my mother would allow me to have a spoon or two of that delicious chocolate chip cookie dough she was making. Oh, how good that was. I remember asking my mother why we were actually baking it. I was just so much tastier raw! Unlike my mother’s old recipe though, you can eat the whole thing without feeling guilty. Only healthy ingredients here, as always. Almond Flour. This type of flour has a neutral taste, which is very similar to traditional wheat flour. For a fluffier texture, pulse the almond flour in a blender for a few seconds, as most almond flours have a “rough” texture. Vanilla Whey Protein Powder. Altgough texture might differ slightly from brand to brand, any whey powder will do for this recipe, use what you have. Greek Yogurt. Could be replaced with the same amount of mashed banana or applesauce. Dark Chocolate Chips. Any type of chocolate chips will do. Again, use what you have. For a low-carb version, use sugar-free chocolate chips. 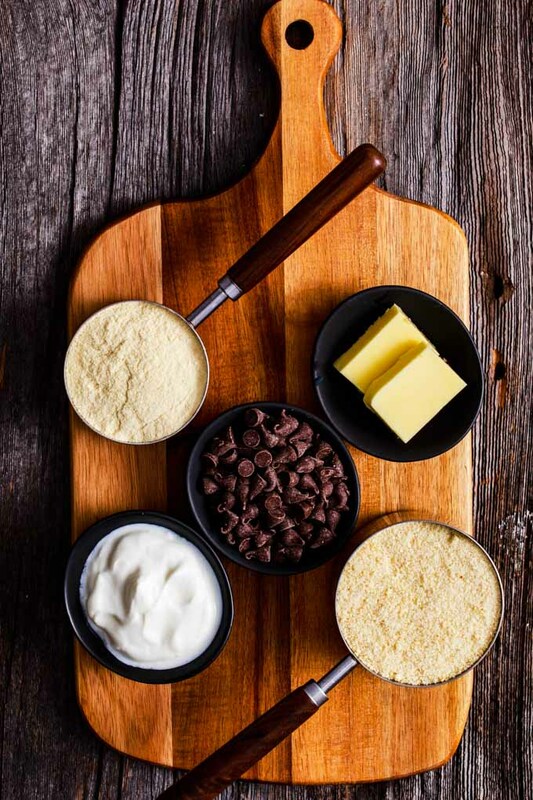 This recipe is pretty simple, simply mix almond flour, vanilla whey protein powder, greek yogurt, butter and stir until well combined, then fold in the chocolate chips. This recipe will give you a relatively thick cookie dough, so if you’d like it to be a little bit softer, just add a tablespoon or two of greek yogurt. 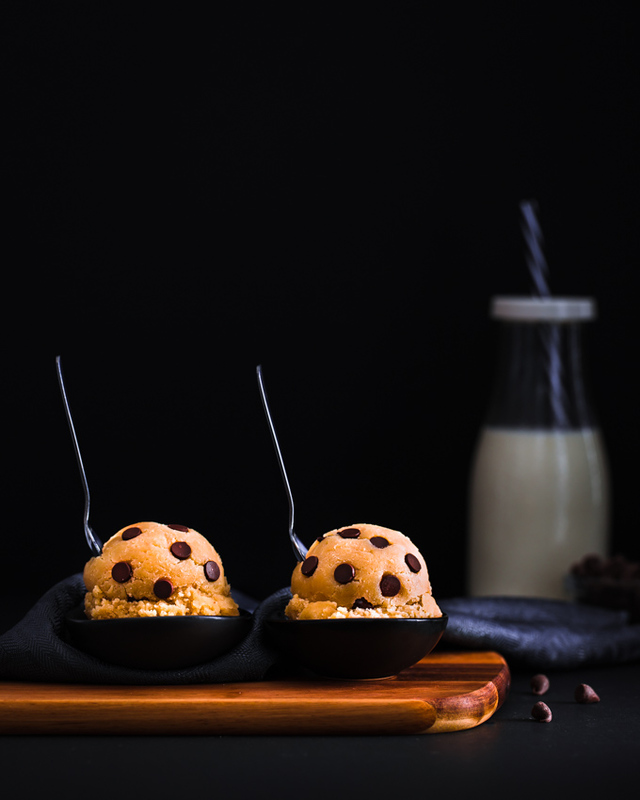 While it is advised not to eat regular cookie dough, this particular recipe is totally fine to eat raw, as it does not contain any eggs, wheat flour, raising agents or any other ingredients which are not meant to be eaten raw. 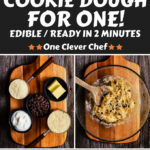 Can I Make Cookies with This Edible Cookie Dough? Absolutely! It makes fantastic chocolate chip cookies. Simply add 1/2 tsp baking powder to the recipe. Bake for 10-12 min at 350F. Done! 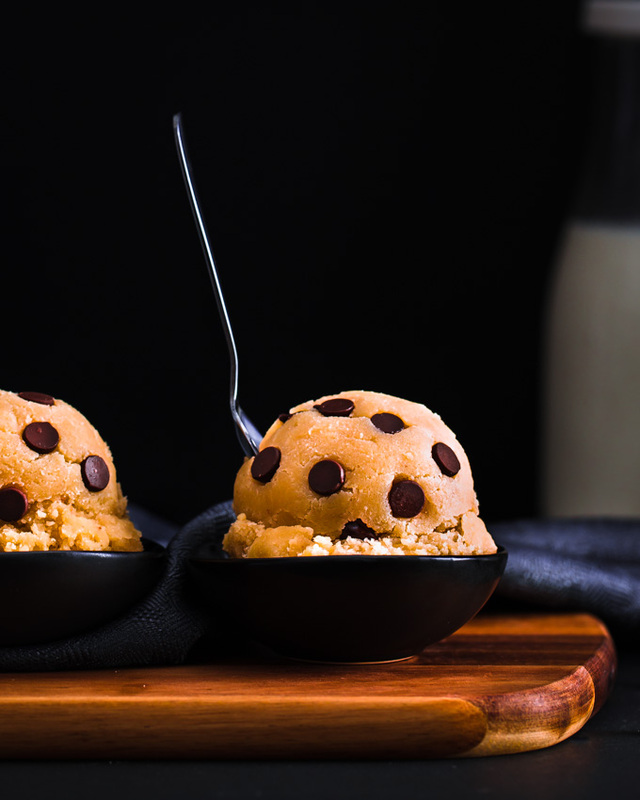 How do you Store Edible Cookie Dough? If you happen to double (or tripple!!) the recipe, simply store the excess dough in a “Zip-Lock” bag or airtight container in the fridge for up to a week, and 3 months in the freezer. Can I replace Almond Flour? 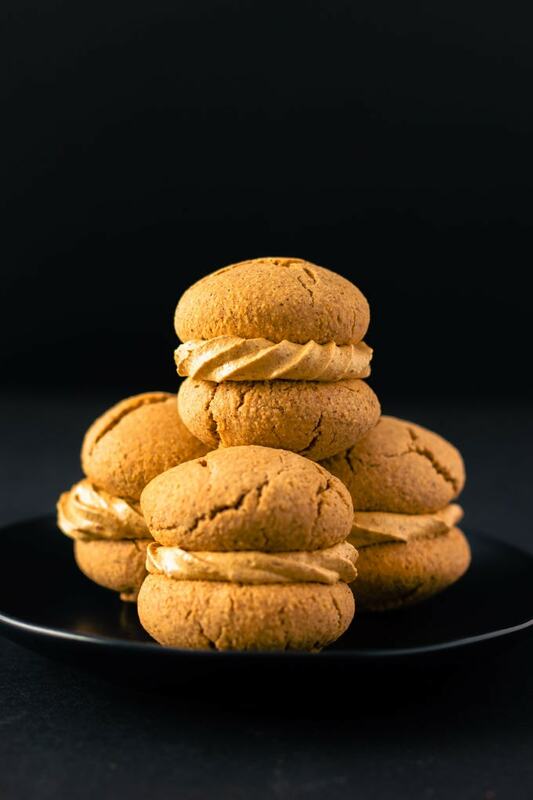 Yes, almond flour can be replaced with the same amount of oat flour. Simply process oatmeal in your blender into a fine flour. If you like protein snacks have a look at my banana oat protein muffins recipe or my peanut butter protein cookies. 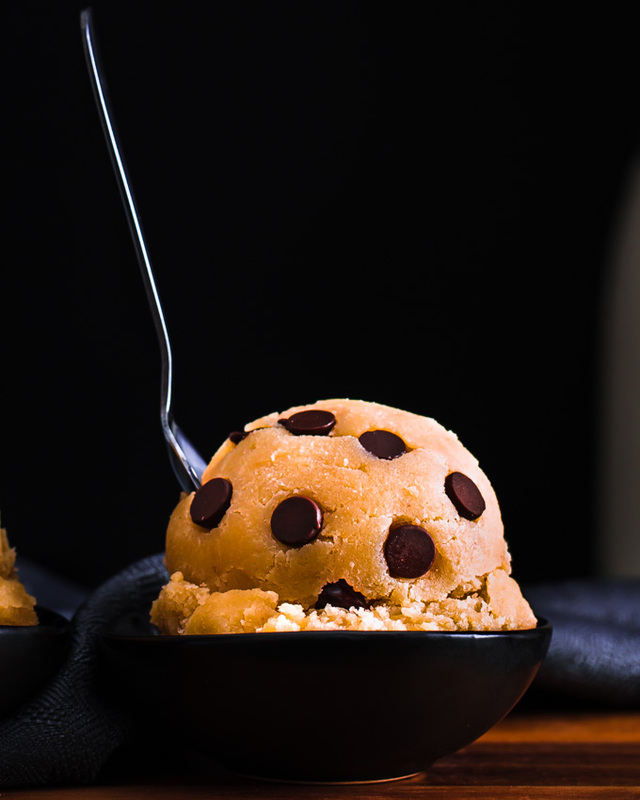 This edible protein cookie dough is a dream come true. Protein-packed and super easy to make, this delicious snack is a must-try. Stir the almond flour, vanilla whey protein powder, butter, and greek yogurt together in a large mixing bowl until smooth. Tip: Double the recipe! And store the remaining cookie dough in the fridge, in an airtight container, for up to a week or in the freezer for up to 3 months. * Grass-fed butter could be replaced with either regular butter, ghee or coconut oil. If using coconut oil, also add a pinch of salt.